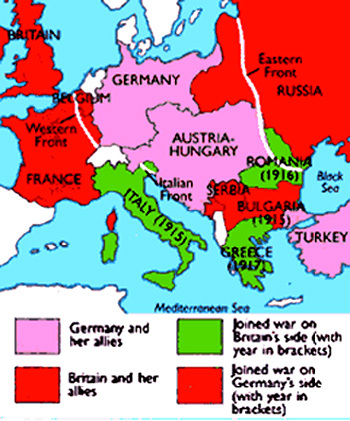 One hundred years ago today World War One began. The President of the US in 1914 was Woodrow Wilson. Woodrow Wilson was a committed Christian from a Presbyterian background. It was not a secret that his faith guided his politics. Wilson’s best known for a couple of things. First, he kept the US out of World War One for about 2 1/2 years. Wilson was an idealist and a post-millennialist, meaning he believed that the church would usher in 1000 year reign of Christ on earth, a reign of peace. He thought of himself as an instrument toward that end. Wilson’s views coincided with the isolationist views of many Americans-Americans who wanted nothing to do with what they saw as European dynastic squabbles linked to the various empires. Wilson probably would have succeeded in keeping the US out of the war indefinitely had it not been for two things. The first was the German use of unrestricted submarine warfare. The British had blockaded Germany with their fleet and the Germans attempted to blockade Britain with their submarines thus denying Britain war material from the US. It also should be noted that while many Americans opposed the US getting involved in the war they did not mind profiting from the war. Not only that both Britain and France had effective propaganda machines at work in the US that made the most of painting the Germans as “Huns” the terror of Europe in the 4th and 5th centuries. 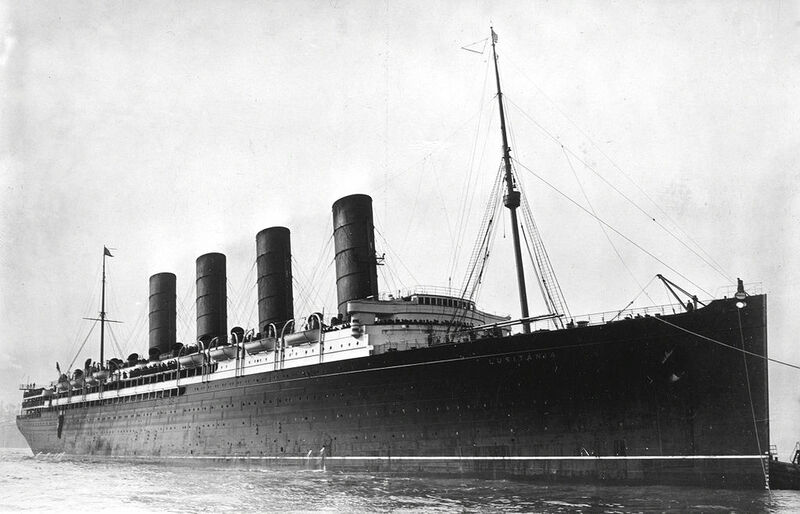 As a result most Americans were sympathetic to Britain and France and when the Germans sank civilian liners like the Lusitania the propaganda rang true. For a time and because Germany really didn’t want war with the US they stopped unrestricted submarine warfare but the Germans grew more desperate by 1917 and so they resumed unrestricted submarine warfare and that pushed Wilson toward war. To add fuel to the fire the Germans attempted to make an alliance with Mexico assuming the Mexicans wanted to regain what was lost in the Mexican-American War of 1847-48. 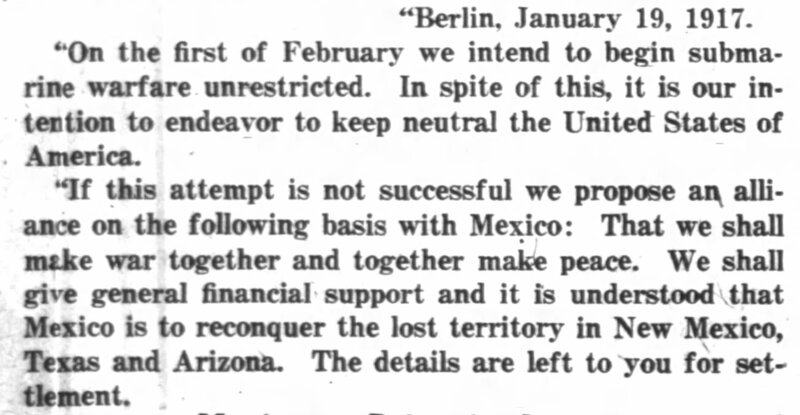 The proposal was uncovered in the famous Zimmerman telegram and although Mexico refused the offer it was enough to push the US into the war in April, 1917. Wilson did not give up on his peaceful ideals and after the war ended it was Wilson who proposed the League of Nations, the forerunner of the UN. Like today’s UN the League was supposed to be a peaceful way for countries to settle their disputes and like the UN it failed miserably. Ironically, Wilson could not get Congress to support the League and it caused him much embarrassment. The question that should be asked by a thinking person of faith, is why do noble efforts at peace that include ideas like the League of Nations and the UN fail? The reader of the Scriptures knows the answer. At the root of these failures at peace is sin-sin that is ingrained into human nature. We have only to look around the world today to see that it is true. Whether its massive struggles such as World War One and Two or smaller conflicts ever since, the root is human nature and it’s desire to exert control or gain advantage over another. Jesus predicted in Matthew 24 that there would wars and rumors of wars until he returns so we ought not be all that surprised to see so much conflict going on around the world. Wilson’s post-millennialism led him to believe that eventually the church (meaning genuine believers) would eventually convert enough people to Christ and that in turn would usher in Christ’s second coming and reign on earth. He saw himself as an instrument toward that eventual end. He died without seeing any progress toward those goals. Although by today’s definition Wilson would be considered a progressive or a liberal but unlike many today he at least had the courage of his convictions born out of a deep faith. I simply believe he read the prophetic texts of Scripture wrong. Christian History article on Woodrow Wilson’s faith. There is a great column by Dennis Prager on Townhall.com titled, The Jewish State in a Morally Sick World. In the article Prager discusses the concept of moral equivalency as it relates to the ongoing struggles between Israel and Hamas as well as the Islamic States that support Hamas. The definition of moral equivalency from rationalwiki.org is: Moral equivalence is a form of equivocation often used in political debates. It seeks to draw comparisons between different, often unrelated things, to make a point that one is just as bad as the other or just as good as the other. It may be used to draw attention to an unrelated issue by comparing it to a well-known bad event, in an attempt to say one is as bad as the other. Or, it may be used in an attempt to claim one isn’t as bad as the other by comparison. Drawing a moral equivalence in this way is a logical fallacy. Prager makes the argument that the moral gulf between Israel and Hamas is as great as the moral gulf between the Western Allies in WW2 and the Nazis. Prager continues to make his point by noting that hundreds\thousands of British were killed in the blitz and thousands\hundreds of thousands were killed in Germany by the RAF and USAF later in the war. Prager notes and accurately I think that if all you do is look at the casualty rate you have some sort of moral equivalency that makes the western allies as bad as the Nazis. And this is the kind of illogical fallacy that many in the west commit when they compare Israel to Hamas. The argument goes something like this. If Hamas kills three and the Israeli’s kill 30 in response, then Israel has not shown restraint and is immoral for doing so. Hamas on the other hand gets a pass because they hide among their civilians and look like the victims to the western media. Hamas uses the western media to focus on the Palestinian\Hamas casualty rate versus the casualty rate of the Israelis to make a moral equivalency argument; or better put, to paint themselves as the victims of Israeli aggression as it they had nothing to do with the Israeli reaction to their incessant missile attacks and pledge to kill all Jews. Hamas deliberately puts their own people in harm’s way to make the sympathy point and many in the western world fall for it and urge Israel to show restraint and/or just surrender to the acts of terror. Below is Israel’s PM Netanyahu speaking to western ambassadors pleading with them to take a moral stand against Hamas. Netanyahu is quite right when he says that if the west lets this go the west will be next. The jihadis use our own morality against us while they have little of their own. “We who defend Christianity find ourselves constantly opposed not by the irreligion of our hearers but by their real religion. Speak about beauty, truth and goodness, or about a God who is simply the indwelling principle of these three, speak about a great spiritual force pervading all things, a common mind of which we are all parts, a pool of generalized spirituality to which we can all flow, and you command friendly interest.